How to avoid a bad stock? 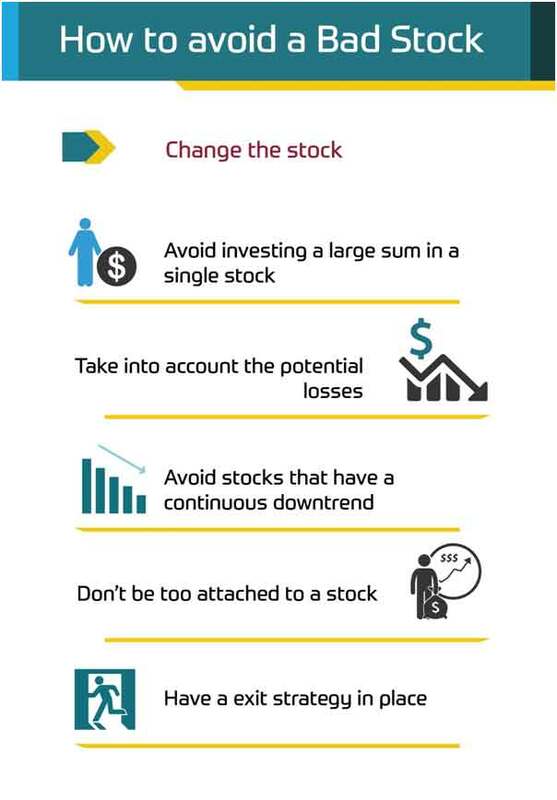 A bad stock can cause a huge loss and you must identify and avoid investing in them before it is too late. Every investor tends to make mistakes. It could be either not timing the market or investing too much or selling too early. But, one of the most common mistakes done by investors is choosing a bad stock. A bad stock can cause a huge loss and you must identify and avoid investing in them before it is too late. How to recognize a bad stock? Numerous pending lawsuits against the company: A few lawsuits really don’t make a company, a bad stock. But, if there are many lawsuits are pending on the company, chances of it being a bad stock increase proportionately. Controversial not notified changes in executives: Try to analyze the complete picture when companies have leadership changes. A company with transparent future plans keeps its investors in loop. However, a company with scandalous firings or frequent changes in the executives could mean a stock to avoid. 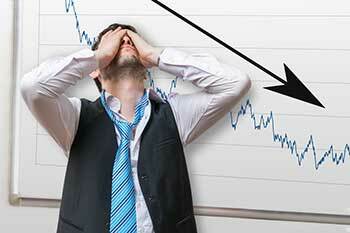 Large Layoffs: Large employee layoffs often result in market panic and poor performance of the stock. While some companies recover layoff with mergers, acquisitions or restructuring. Still many of them, without notified layoffs, often leads to poor performance due to a bad reputation. Regulatory Compliance Issues: Regulatory compliance issues tarnishes a company’s image.This could lead to a bad reputation and poor performance of the stock. Reliability issues with products/services:If the products/services of the company face reliability issue then it is really facing a bad time. This would soon result in a downfall in stocks performance. Cash Flow Problems: Buying stocks of a company facing severe cash flow problems seldom pays off well. How to avoid investing in a bad stock? Be careful with Serial Acquirers: Serial acquirers should be thoroughly analyzed before investing. There is a chance of them trying to hide the debts taken for the new multiple acquires. These debts could then create cash flow problems resulting in a low performance. Always check the leverages before making any investment. Pay importance to footnotes: Footnotes are often ignored by the people while going through vital reports and balance sheets. But, such details are mentioned in footnotes so that they are not noticed by the readers. These are details like debts which a company doesn’t want to exhibit but has to somehow mention in the documents due to protocols. If proper attention is paid to the footnotes, such information could be taken into account and decisions could be made accordingly. This timely information could,thus, help in avoiding a bad stock. Pay attention to negative reports of analysts: This is another mistake often repeated by investors. They tend to ignore negative reports provided by several analysts about a known company. They overlook these analytics reports for the name of the company. It is necessary you verify the authenticity of these reports before overlooking them. This effort would definitely avoid some bad stocks which could seem good but are not. Check the profile of CEO and executives: Any kind of changes in the higher management level affects the stocks. If the profile of the CEO or top executives is not good enough, it then affects the company’s image in the market. This creates a possibility of being bad stocks in future which you could easily avoid. It is always best to be safe before taking any investment-related decisions especially in the case of a potential bad stock.The above tips could be used to identify a bad stock. Once identified as a bad stock, an investor could analyze the stock and avoid it or sell it for minimum loss.